Most Delabole Slate slabs are made to order, to the customers required size and specifications. Please remember therefore, to give us enough warning to produce your order in time. You can phone our Sales Office at any time to check on current availability for slab orders. 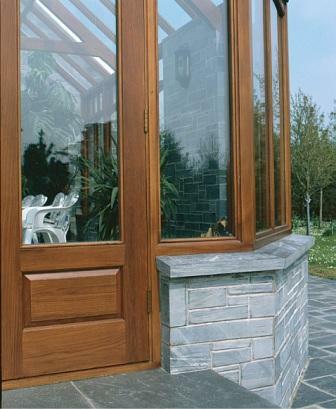 Some Delabole Slate Slab products are kept in stock, such as standard sized Window Sills and some types of flooring. Our masons hand select each individual slab according to its suitability for monumental, worktop, construction/building or garden use. The natural sawn slab of light blue/grey colour. Some saw marks do occur, enhancing the “natural” look. Generally used for flooring or externally fitted products. The slab is rubbed to a smooth finish (like an egg-shell to the touch) which also darkens the slab. Ideally suited for hearths and mantelpieces of fireplaces, internal window sills, shelves and worktops. An alternative to “Fine Rubbed”. This special hand finish maintains a light blue/grey colour and gives a more mellow appearance. An additional finish, resulting in a predominantly dark blue/black colour and semi shiny surface. All slabs are supplied as standard with a normal sawn edge. If required, we can fine rub any visible edges (perhaps for a fireplace hearth or table top) at an extra charge. We are also able to round edges, with a choice of three options ranging from a straight forward pencil rounded edge, a half bullnose (top edge rounded to a quarter of a circle) or a full bullnose (the whole edge being rounded right the way around, as a semi-circle). The edges can also be sawn at a reasonably accurate angle as specified by the customer. Slate slabs can be sawn to virtually any shape within reason. We can produce curves, cut-outs, notches etc. If you require a quotation, please forward either a scale diagram with accurate dimensions, or a template. Where templates are required for accurate production, they should ideally be wood/plywood, or at least a rugged cardboard. Drip grooves, drainage channels, drilled and cored holes (either right the way through the slab or “blind”), and weathered sills can also be produced. Contact our Sales Office for a quotation.